Orders are still being taken for the spring 2019 planting season for shrubs and trees from the John S. Ayton State Tree Nursery, managed by the Maryland Department of Natural Resources. Trees benefit the environment as well as enhance natural habitat for birds, squirrels and other wildlife. Almost all trees and shrubs available for sale are native, and many are also pollinator-friendly. The nursery offers more than 50 conifer and deciduous species each year, from Loblolly Pine to River Birch, to meet a variety of aesthetic preferences and conservation needs. These shrubs and trees are ideal for buffer plantings, soil protection, watershed protection, wildlife habitat or windbreak protection. 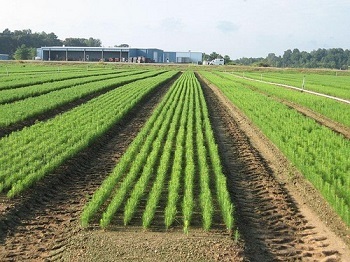 A minimum order of 25 seedlings per species is required. Supplies are limited.